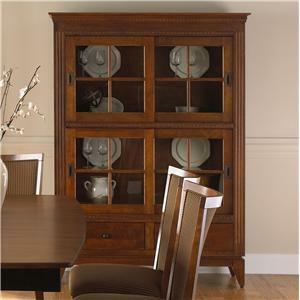 This buffet and hutch set features antique brass hardware and beveled glass. The Custom Dining Customizable 72 Inch Hutch & Buffet China Cabinet by Canadel at Godby Home Furnishings in the Noblesville, Carmel, Avon, Indianapolis, Indiana area. Product availability may vary. Contact us for the most current availability on this product. 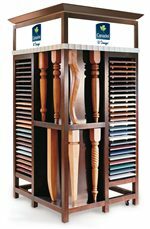 BUF072023301MAA Customizable 72 Inch Buffet 1 72" 17.5" 32"
HUT07202NA01MAA 72 Inch Hutch 1 73.75" 15.0625" 47.1875"